Simple science says that you’ll be warmer outside if you stand in the sun. Even in the winter it’s slightly warmer under the rays of our nearest star than it is in the shade. ThermalTech is the winter jacket that wants to boost that little bit of heat from the sun to keep you warmer outside. This jacket doesn’t look like it would do much in the dead of winter, it isn’t very thick but that’s the magic. Instead of adding bulk, it uses solar power to heat up the jacket to keep you warmer longer while you’re out there. This way, you can stay more active in the cold weather without dealing with a lot of extra weight. The fabric is a smart fabric that absorbs the energy of the sun and translates it into warmth for your body. It also helps keep your temperature in balance. Great if the day starts out really cold but gets a bit warmer later, you won’t find yourself having to choose between freezing or melting. 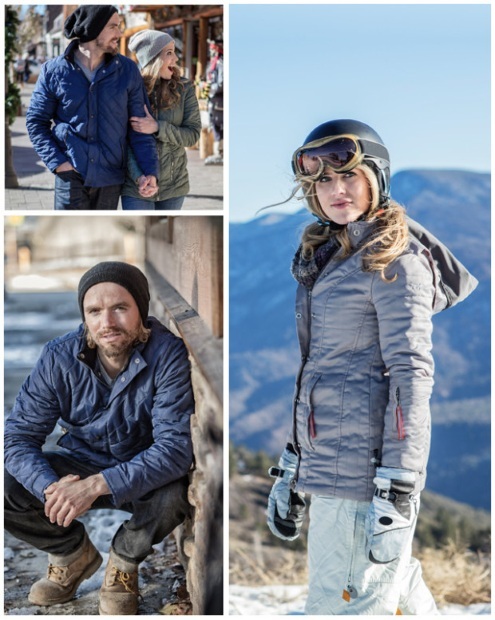 The ThermalTech Jacket is currently being crowdfunded but you can reserve yours for $149.